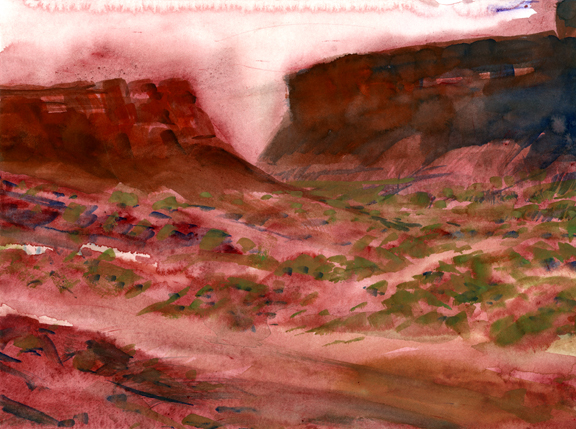 Been on a Purple Sage-Jim Bowie binge for the past three weeks, so it was nice to cleanse the ol' palette this morning. Daily Whip Out: "Sunset at Secret Pass." Received some nice old time cowboy postcards from my good friend Betty Drake. i'm going to use this one to illustrate an upcoming article I'm working on about the Pleasant Valley War. 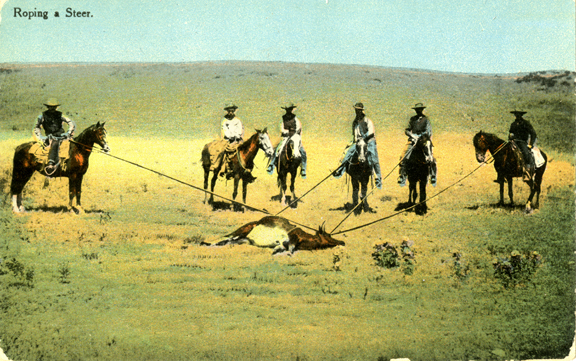 The Tonto Basin problem: random ropes on someone else's cow. "When you have a great and difficult task, something perhaps almost impossible, if you only work a little at a time, every day a little, suddenly the work will finish itself."